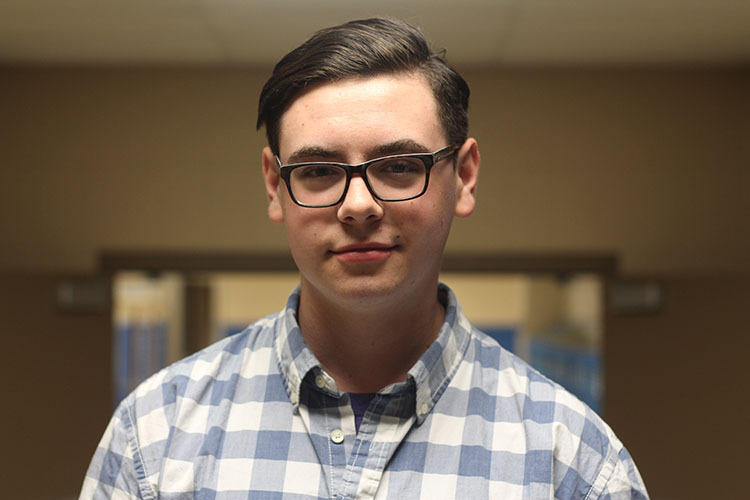 Senior Trevor Provost talks about his experiences at a Trump Rally in Topeka. “Recently, a friend of mine and I went to see President Trump and his campaign for Kris Kobach in Topeka, and it was honestly one of the scarier things I’ve done. People frequently attribute things like xenophobia, nativism, and racism to our president, and it’s something that I have always cast aside as something that is unreal or just imaginary. Being there, being in person and hearing racial slurs from twelve-year-olds wrapped in Trump flags–there was just something deeply unnerving about it. Looking around, there was just a bunch of nine and ten-year-old white kids saying that they wanted to deport all the Mexicans and build the wall. One thing that particularly stood out to me was there was a group of about three kids probably about my brother’s age–nine or ten–talking about how it’s the Mexican’s fault that their dad lost their job, and if their dad had his job still then he wouldn’t be hitting them back at home. The entire thing just really made me think a lot about right-wing politics and how it tries to build a false sense of superiority by casting a foreign group as ‘the other’ and simply displacing all the blame and all of society’s faults on them.